This Bundle is packed full of everything you need to edit your Winter Images in Lightroom and/or Photoshop. Everything from adding warmth, adding a deep film winter tone, adding snow, give indoor family photos beautiful tones, and add a sparkle or bokeh to your images. 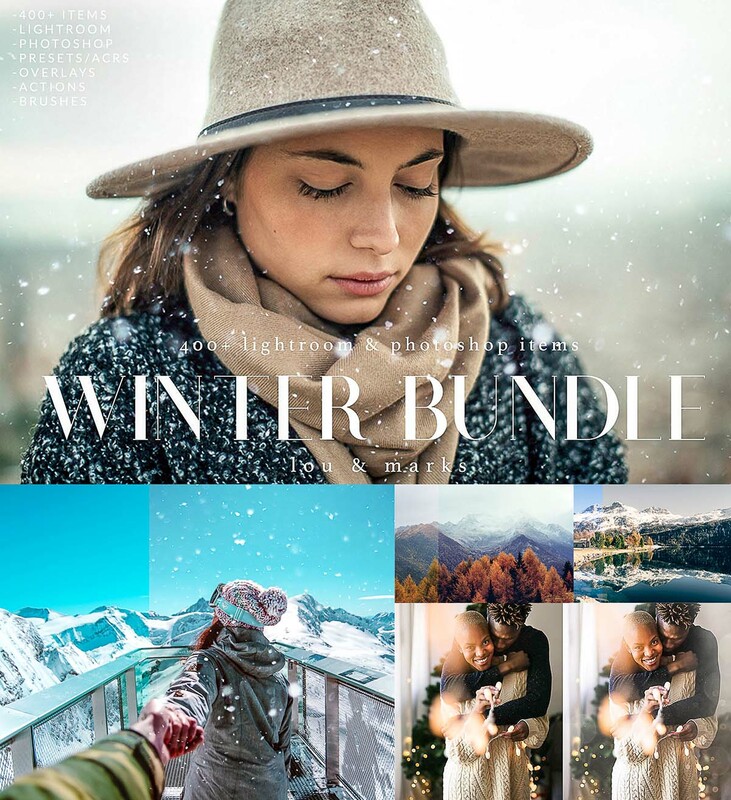 Streamline your photo editing workflow with our Winter Bundle. These can be used on indoor family photos, outdoor portrait shoots, landscape, editorial, artistic, winter weddings/engagements, and most styles of photography. File format: .lrtemplate, .jpg for Lightroom or other software. Tags: action, bokeh, brush, glitter, lightroom, lightroom presets, outdoor, photo editing, snow, vibrant, winter.